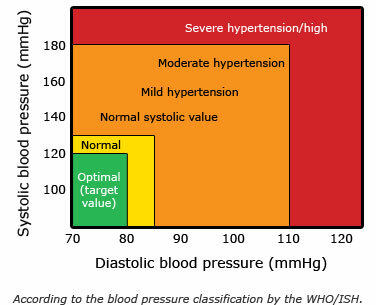 Hypertension (aka high blood pressure) is called the silent killer. It’s common for me to see someone who thought they were ‘fine’ drop dead from its effects, never knowing it was about to happen and not having been aware of the warning signs and risk factors. In lay terms, your heart is just a muscular pump pushing blood (containing oxygen and nutrients) around the body keeping stuff alive. The more you poison that pump (by ingesting unhealthy foods and inhaling other toxins) and strain the muscle by adding weight and clogging its vessels so it has to pump against more force (by being obese, not exercising and engaging in other unhealthy behaviors), the more likely that muscle is to strain until it gives out. Once it does, blood isn’t delivering what’s needed to your vital organs, and that’s when bad stuff happens. The heart is a muscle best thought of as a machine. Here’s three easy things you can do to reduce your risks. • Get off your rump. Any exercise helps to get your heart pumping and blood flowing; strive for 20” three times a week at the very least. • Close your mouth. Everything in moderation is cool, but introduce some fruits and vegetables into your life. • Lose the salt shaker. At least taste your food first. It’s likely the food was already prepared with salt. Did I mention to stop smoking? Any questions?